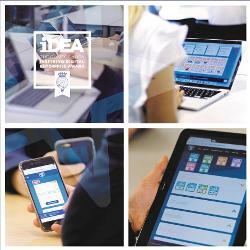 iDEA is the Inspiring Digital Enterprise Award, a free programme to develop your digital and enterprise skills. Bury Council is promoting the scheme as part of our drive to get people digitally active and improve the digital skills of residents. iDEA is not about sitting in a classroom. It's made up of bite size online courses which are relevant to real life. There's no pressure or time limits, and you can do as much or as little as you want. Each time you complete a course you earn points, which count towards an award. Put this on your CV and you can show an employer the skills you've learned. Or you can just dip in and out of the scheme to learn about topics which are useful and of interest to you. Go to the iDEA website using the link below to find out more and sign up.